Funding for this report and its companion products (webpage, presentation materials, CD-ROM) were graciously provided by Duane Ross of the Astronaut Training Office/JSC/NASA under a NASA contract. Adam Read tirelessly compiled and processed the gravity data, produced maps in ArcView, and designed the webpages. Mic Heynekamp produced figures, scanned and improved photos, and performed research. Peggy Johnson processed GPS station data, authored the hydrogeology section, and graphed the gravity data. Dave McCraw drafted figures. Glen Jones assisted with gravity data processing. Becky Titus drafted figures and designed the cover illustration. 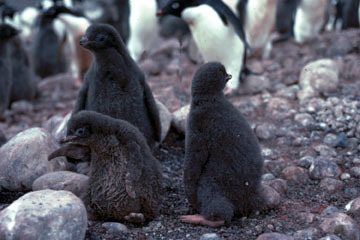 Nelia Dunbar and Bill McIntosh provided penguin photographs. Several of the astronaut candidates provided photographs. Jim Hansen supplied a video of the exercise. Pat Dickerson cheerfully and promptly provided everything else that we needed to produce this report.